The professional "Real-Bearded Santa" can trace his roots back to September of 1994, when ten professional actors met while filming a commercial for German giant Otto Versandt, to promote their Fall catalogue (the one with supermodel Cindy Crawford on the cover). 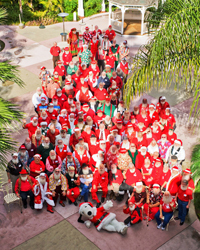 The shoot lasted 12 hours, and these Jolly Jents had so much fun that they agreed to get together at Clearmann's North Woods Inn after the upcoming Christmas Season, where they would regale one another with Tales From The Chair. That lunch was so successful, they all agreed to get together again the next year. 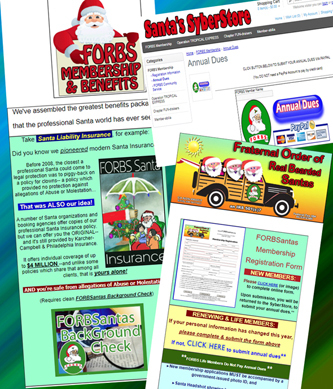 This time several of them invited a fellow Santa, and soon their "Luncheon" was in the national media-- that's when things started to snowball! 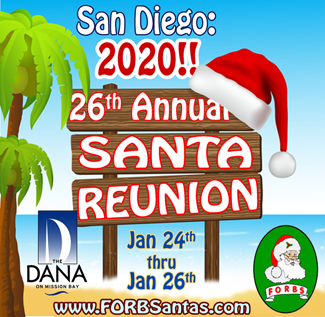 That was nearly a quarter-century ago, and over those decades our Santa Reunion has grown-- until it now fills the final weekend of each January! 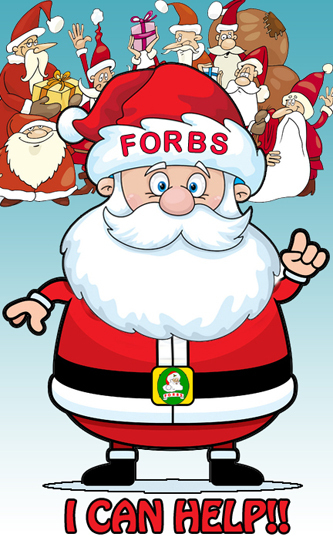 FORBS hopes the entire Christmas Community will help us celebrate our Reunion's 26th Anniversary!! 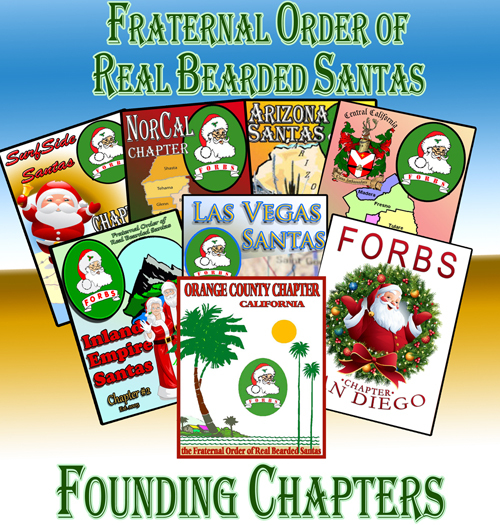 Wanna Join A Santa Group That Still Believes REAL Beards Are BETTER?